BBR is thrilled to present this expanded and remastered edition of THE CHANGING OF THE GARD in a deluxe super jewel case with extensive liner notes that include a new interview with Verdine White and four bonus tracks. • Stargard (Rochelle Runnels, Debra Anderson, Janice Williams) broke out in 1977 with what was their biggest hit, ‘ THEME SONG FROM ‘WHICH WAY IS UP’’, one of the disco eras most enduring anthems. The band continued releasing records with more charting singles before disbanding in 1983. • 1979s The Changing of the Gard (Warner Bros) partially continues the loose party jam vibe of their first hit but with Robert Wright and Earth, Wind & Fire’s Verdine White at the production helm, the album is overall far smoother than their earlier albums. 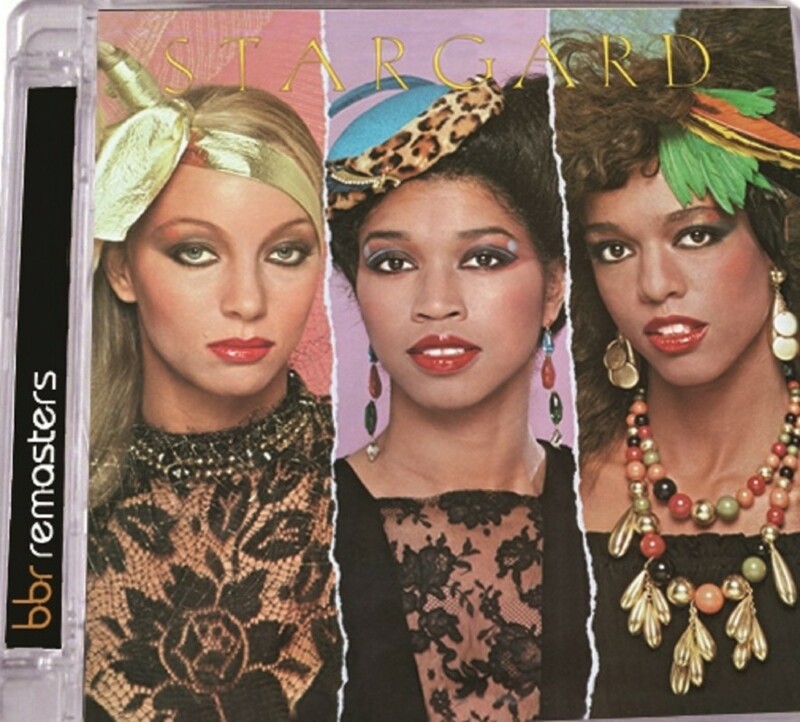 First single ‘WEAR IT OUT’(R&B #43/Disco #4) is another excellent disco stomper from the band whilst ‘RUNNIN FROM THE LAW’ (US #61/DANCE #4) is grittier and Stargard’s unapologetic funk strut is unmistakeable here. • Elsewhere ‘(ONCE IN A LIFETIME) DREAM COME TRUE’ is an utterly affecting hushed ballad while ‘TAKE ME BACK’ marries disco inclinations with smooth jazz and it’s all the more revelatory for it. • BBR is thrilled to present this expanded and remastered edition of THE CHANGING OF THE GARD in a deluxe super jewel case with extensive liner notes that include a new interview with Verdine White and four bonus tracks.